A burr (American English: burl) is an outgrowth on the trunk of a tree or a branch of a tree and results in deformation of grain of the wood. Burrs are formed when the tree undergoes some stress or injury which may be due to human actions or by environmental damage. Although a burr is sort of a malignancy it doesn't cause any harm to the tree. As a matter of fact distortion of grains results in artistic curves and some burrs fetch a higher value than the tree wood itself. 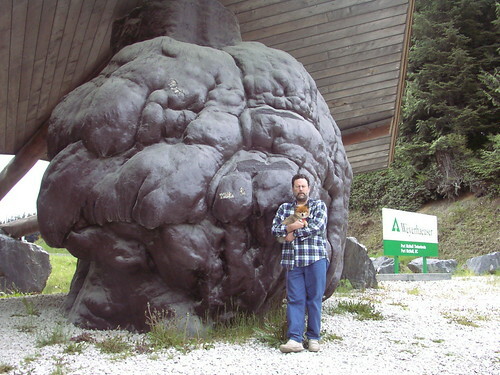 World's largest burr was found in 2005 near Holberg, Vancouver Island, British Columbia, Canada. It was cut off from a giant Sitka Spruce (Picea sitchensis) tree and brought to Port McNeill, British Columbia. It is permanently displayed in downtown area at Broughton Boulevard. 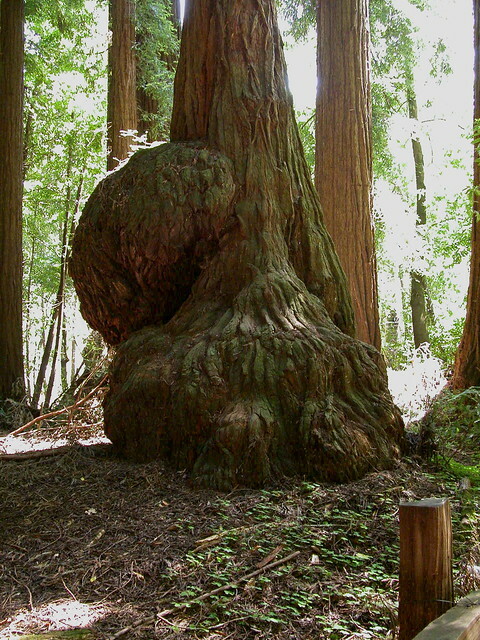 The burl is 6 metres tall, has a diameter of 6 metres and weighs an estimated 30 tons. Before its discovery another burr located in Port McNeill itself was the World's largest burr. 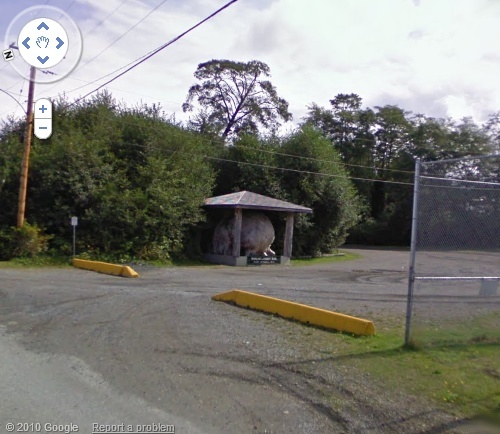 Till 2005, a burr displayed at the junction of SW Main Road and Inland Island Highway (19) at Port McNeill, BC, Canada had the distinction of being the World’s largest burr. It was cut from the base of about 400 year Sitka Spruce (Picea sitchensis). This burr weighs an estimated 22 tons and measures 45 feet (13.7 metres) in circumference (roughly 14.3 feet - 4.4 metres diameter). This burr was however downgraded to second place after another and much bigger burr (shown above) was found near Holberg, Vancouver Island, British Columbia, Canada.